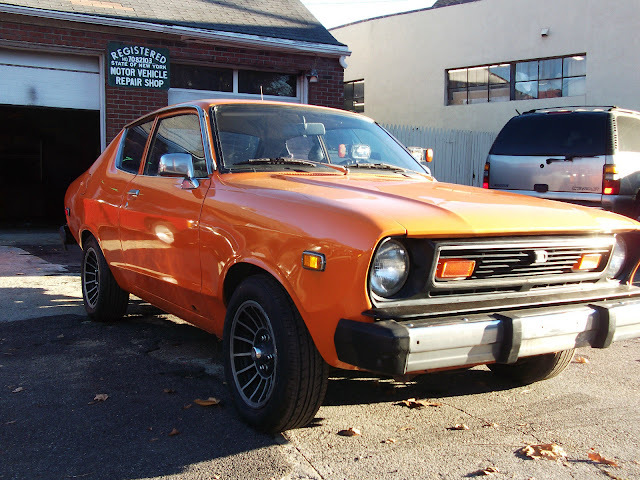 The Datsun B210 (as it was known in North America) was sold at the height of the malaise era, which means it was equipped with terrible smog strangled engines and sandwiched with bumpers that you'd expect to see on something that helps push container ships into the harbor. However, that doesn't mean the ones that have survived the crusher's basilisk-like gaze have been upgraded for speed and looks. 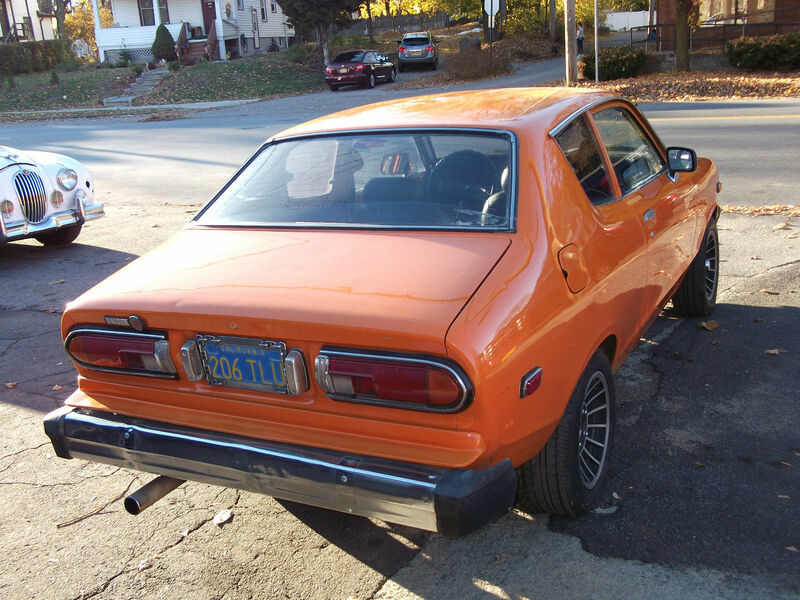 Find this 1977 Datsun B210 here on eBay bidding for $1,575 reserve-not-met with 3 days to go, located in Mohegan Lake, NY. I know I will be flamed by various Sunny Owner's clubs around the world, but the little B210 was one of the least expensive new cars in America when it was new...and...you could tell. Power came from a 1.4 liter inline-4 that put out something around 70 horsepower and the sheet metal was as thick as a soda can. 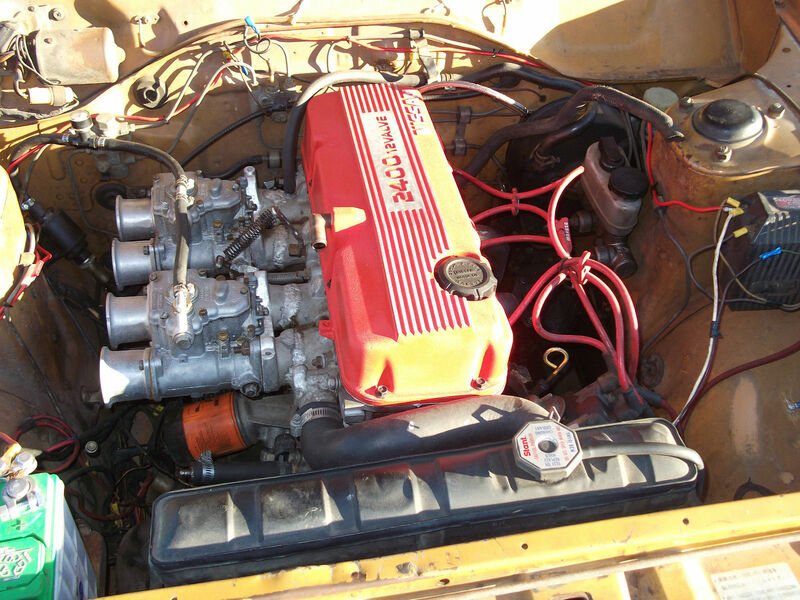 This B210 is powered by a KA24DE 16-valve engine that is fed via a set of 40mm side draft carburetors and exhausted by a set of stainless headers. Mated to a 5-speed manual gearbox, this will make for a lively combo in the lightweight B210. Check carefully for rust. Mine literally rusted in half by 5 years old. That engine would make it fun, but the suspension would make it scary. 70 horsepower? I learned to drive stick shift on an '81 Datsun 210 (the same one from the "Hunting Luminas" post), and that sounds very optimistic. IIRC, the factory specs were more like 50 hp. My Dad had one of these growing up. The floors rusted out so badly that there were water spots on the headliner. I can remember poking my finger at some of the rustier bits and watching chunks fall off. Or am I the only one who sees some 69' Charger Stance happening here? I dunno, maybe more '73 charger due to the rake of that c-pillar.